Part sculpture, part architectural installation, all play. 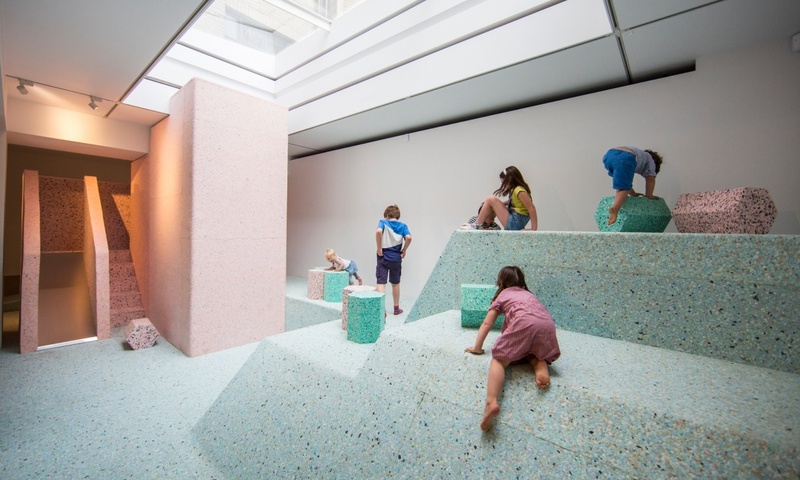 The Brutalist Playground is an acclaimed new commission by Assemble and artist Simon Terrill exploring post-war design for play at RIBA’s HQ in 66 Portland Place. The exhibition opened last week and will be on until 16 August 2015 in the Architecture Gallery at 66 Portland Place. There are plenty of activities, workshops, talks and events surrounding this exhibition and for more information please on the exhibition, please refer to architecture.com. And don’t forget to you can explore the Brutalist Playground exhibition online by clicking here.